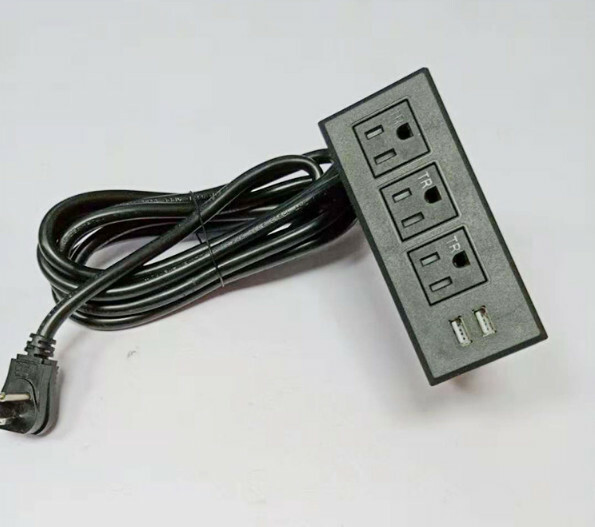 1.3AC Outlets 2 USB Charger: Table Power Strip,Ergonomic and compact design, charge your multiple devices simultaneously and more space-saving and well-organized. 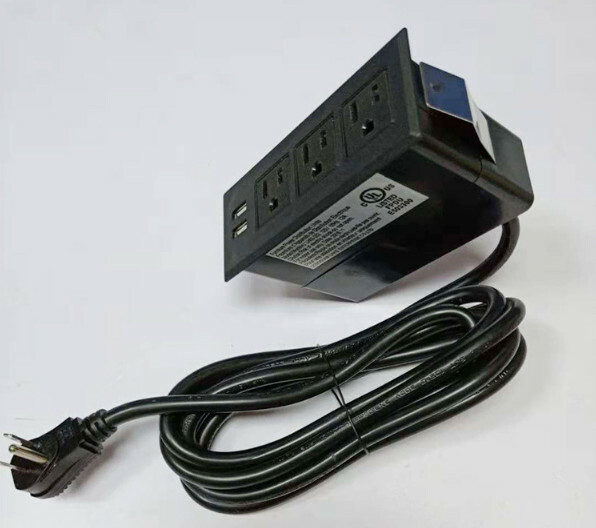 2.Applicable voltage: 110-250 (V) / current: 12/15(A) / Rate: 50/60 HZ . 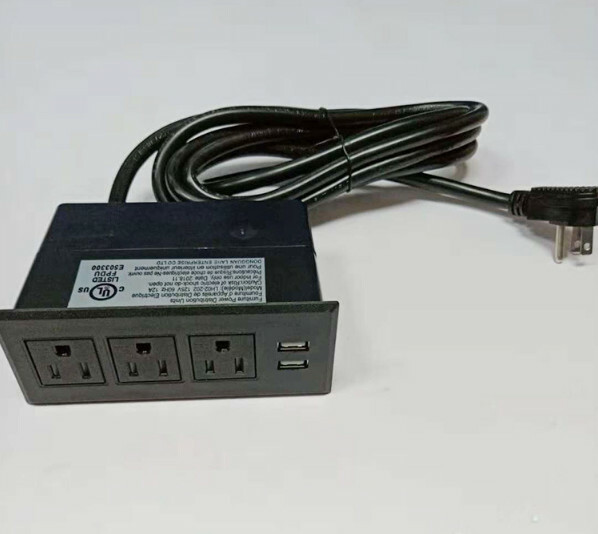 3power socket & 2 USB ports & 9.8 ft power cord.